It’s deathly quiet in here. Perhaps an eerily accurate description, seeing as I’m sure many people have died in this building over the years. Although I doubt it was often this quiet. 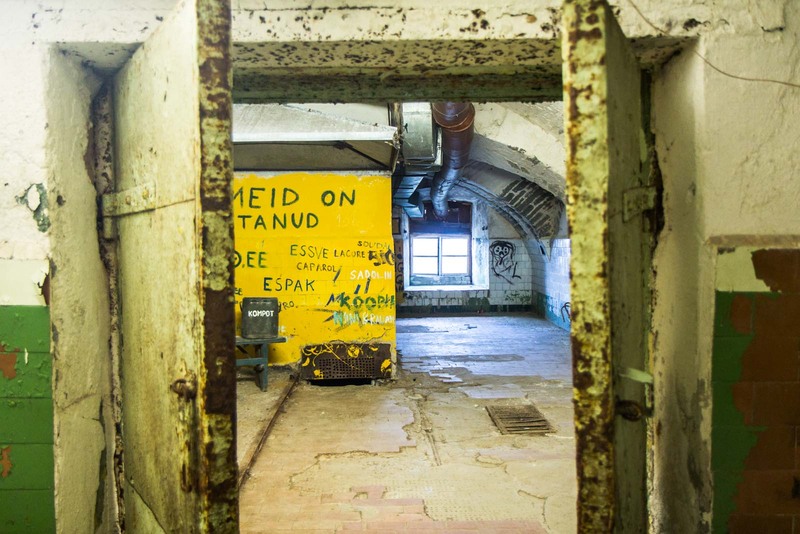 I’m inside the abandoned Patarei Prison on the outskirts of Tallinn’s Old Town. This was once one of the scariest places in Estonia, back when the Soviets used it as a high security facility from 1920 onwards. 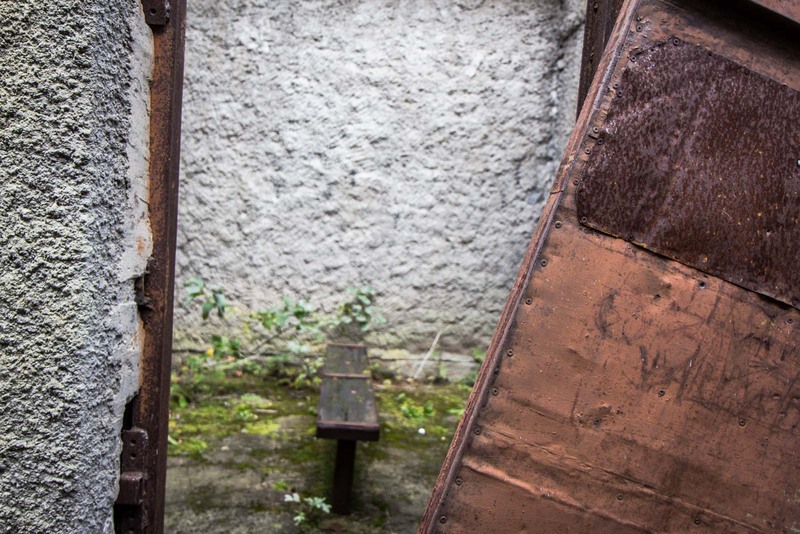 Hundreds of men were locked up here – many were executed. You can only imagine what other horrors they suffered behind bars. It’s still a fairly scary place, especially on the afternoon I visit. 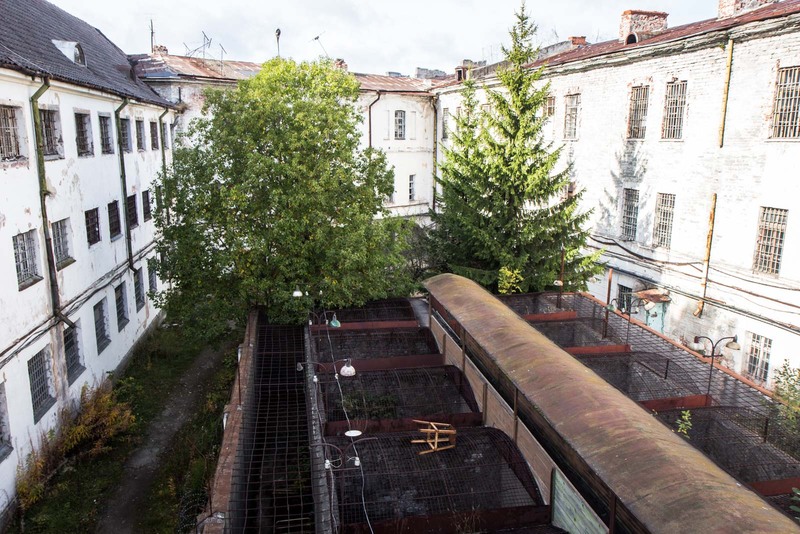 Ever since Patarei Prison was abandoned, very little has been done to restore or maintain it. However, it is open to the public to explore. When I arrive, there is nobody at the small office at the entrance, so I walk straight in. 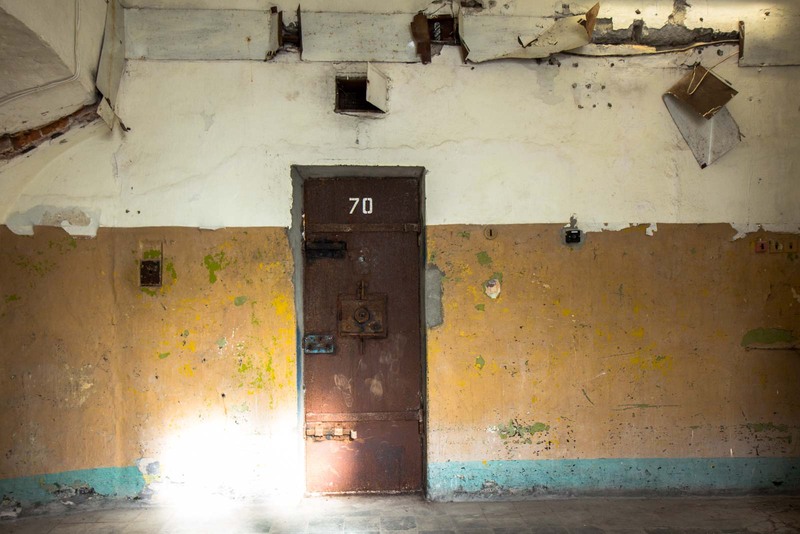 Thankfully I am with a friend because, as we walk through the corridors past cells, along rusty gangways, and into the execution room, we see nobody else. Not a soul. Although I get an unnerving sense there are plenty of souls still with us within these walls. The corridor on the ground floor at least has some electric lighting. That’s fortunate because otherwise it would be pitch black in places. The only sunlight that sneaks in is from windows within some of the rooms off the corridor. Even then, it’s just a dull husk of light. These rooms are darkened by their history. But, after we climb an unmarked staircase to the second floor, it’s just natural light to navigate by. It is brighter here but the cells are much smaller. The long corridor is empty and silent. Doors hang half open like someone has just left them that way. There’s graffiti. Some is recent. Some, in Russian, could be from prisoners or even guards. Walking into a room takes a little bit of courage. Although my brain tells me there is not going to be anyone inside, my stomach doesn’t get the message and drops a little bit each time. We walked in without anyone stopping us – who is to say other people didn’t do the same and are waiting in the darkness? 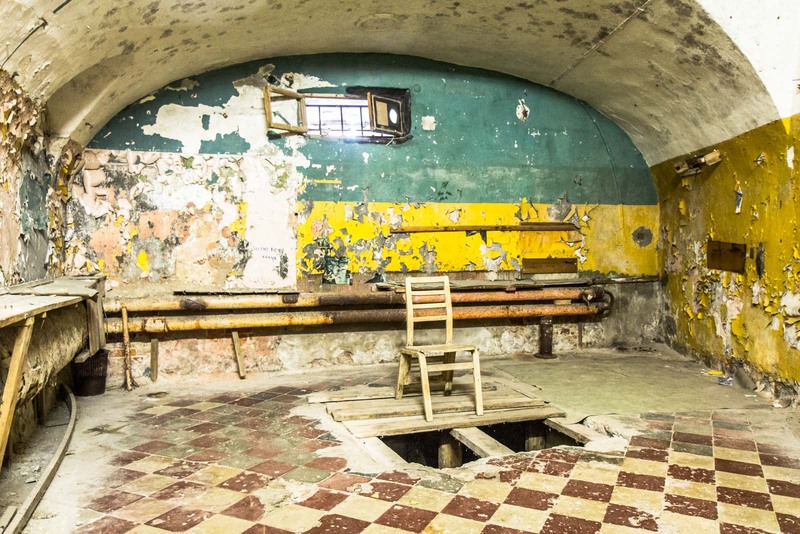 Most rooms look just as you would expect them to in an old abandoned Soviet prison. Part of me likes that for the aesthetic quality – but it does make everything creepier. In one, the metal table and chairs are still bolted to the concrete. In another, pages of old magazines are stuck onto the wall. I walk into one room and the guard’s desk just sits there gathering dust. One cell is too dark to see properly but I can make out the shape of the bed and the hole that would’ve been the toilet. What would have happened in a place like this? The idea of a Soviet prison sends shivers up my spine. It’s not just what the guards did to the prisoners but what the prisoners probably did to each other. You can almost smell the fear and desperation that would have hung in the air here. 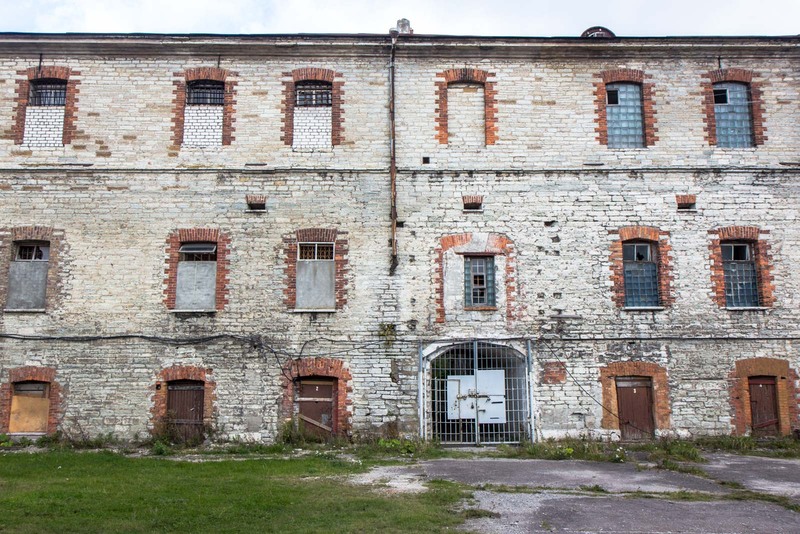 The complex at Patarei was originally built by the Russians in the mid-1800s as a fortress and a military barracks. 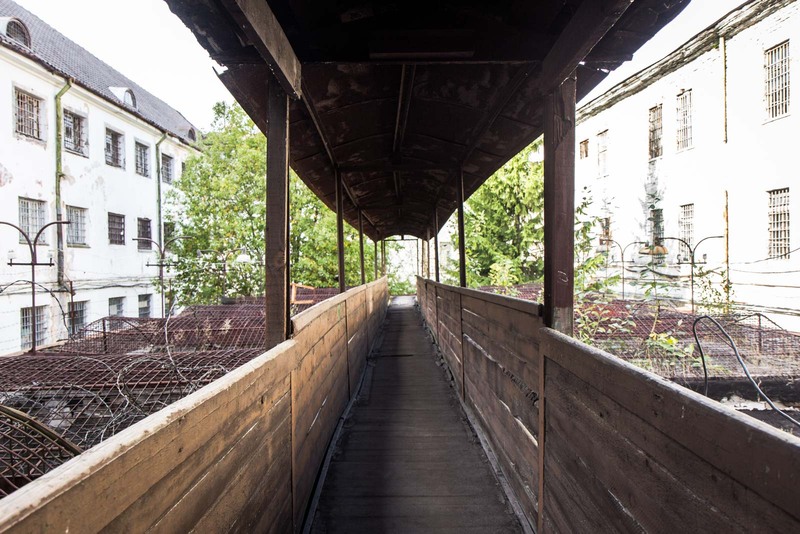 It was converted into a prison in 1920 and over the subsequent years it saw different phases. 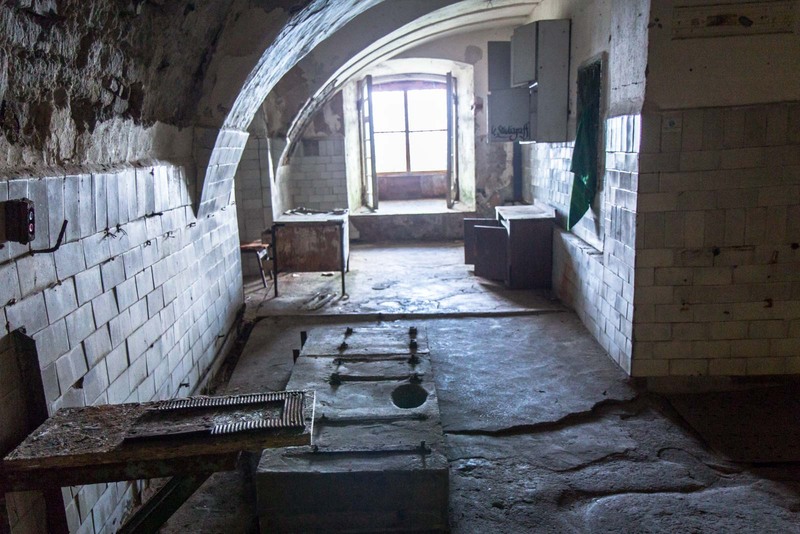 Early on it was used by the Republic of Estonia government as a relatively ordinary prison and had 48 solitary cells and a wing with about 500 prisoners. But then the Soviets occupied the country again in 1940. This began the most notorious period in the history of the prison. 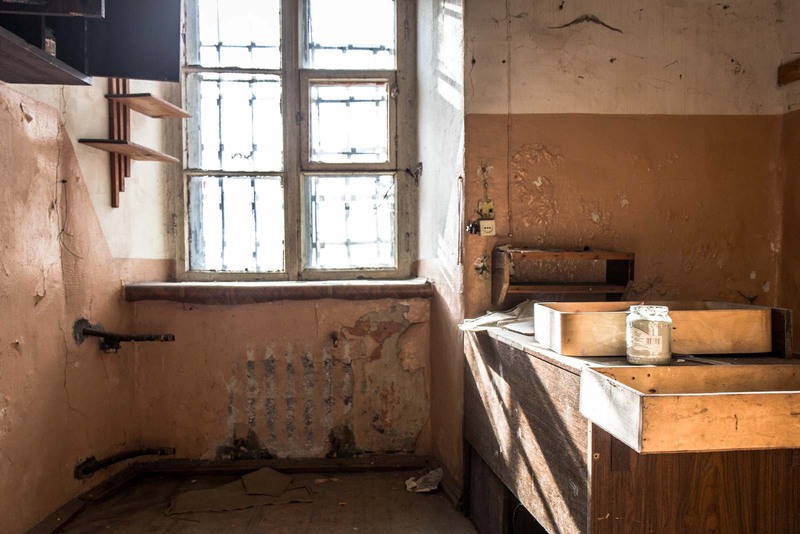 The Soviet secret police took control of the buildings and used it primarily to deal with resistance fighters. 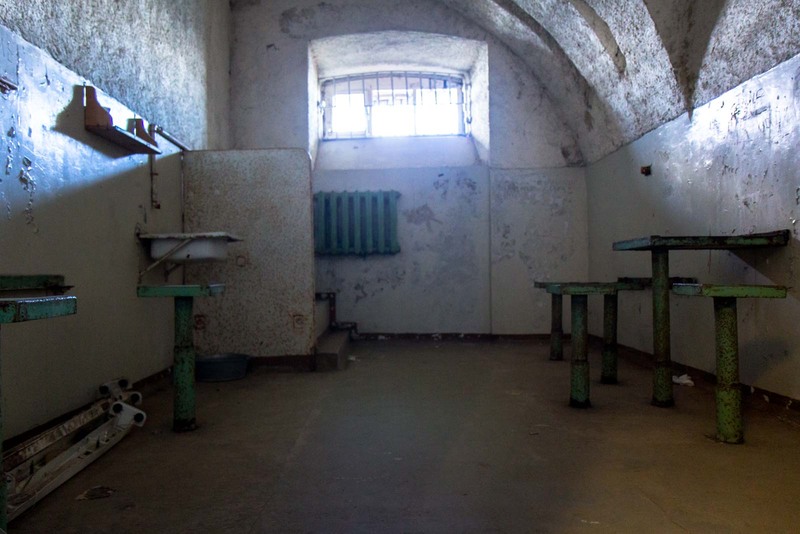 It was cramped, with up to 30 people sleeping in a cell designed for 7 or 8. But there was also a level of freedom with prisoners being able to move about quite freely and spend time together. 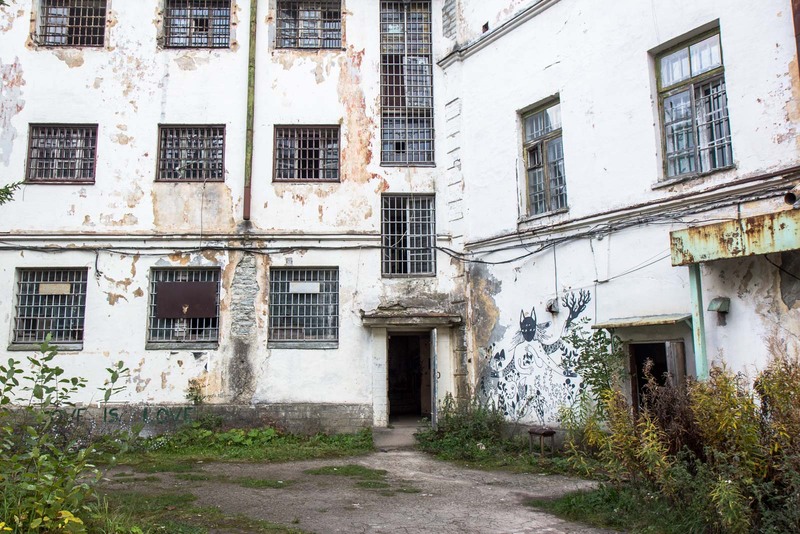 The worst period for prisoners was probably after the death of Stalin when the Soviet approach towards Estonia meant a much harsher treatment of critics of the regime. Torture, violence, executions. These were all routine at Patarei. The exercise courtyard was turned into a series of outdoor cells. I come out of one of the corridors on the second floor and into sunlight. I’m on a slightly unstable metal gangplank that goes along the top of these outdoor cells. Climbing up a steep metal ladder, I end up in the guardhouse that looks out across the whole courtyard. Each of these cells has a hard floor, three solid walls, one wall with a door, and then just a metal grill for a ceiling. You can see right down into them. Even today on a sunny afternoon in September it feels cold. I can only imagine what it must have been like for the prisoners who slept in there during the middle of Estonia’s snow-covered winters. But even trying to imagine anything about this compound falls short, I am sure. How could I have any idea of the days, months, years, spent in this prison? Starving, freezing, fearing for your life. Scratching graffiti into the walls, passing secret messages, staring at the sea out the windows. 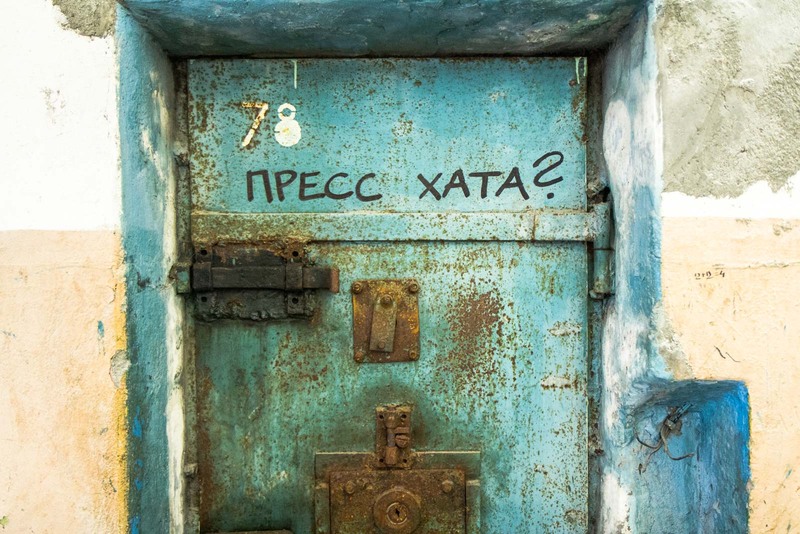 Patarei Prison was only closed in 2002. Not much has been done here since. On our way out we see a few other people coming in to look around – finally we are not alone and would have found that a bit comforting if the initial sound of their voices hadn’t made us jump in shock. There’s now also someone at the ticket booth (he had just popped away for five minutes to get some change when we had come in, apparently). There is a bit of life, it seems. And probably the most interesting activity here at Patarei Prison since it stopped operating more than a decade ago has been by artists. 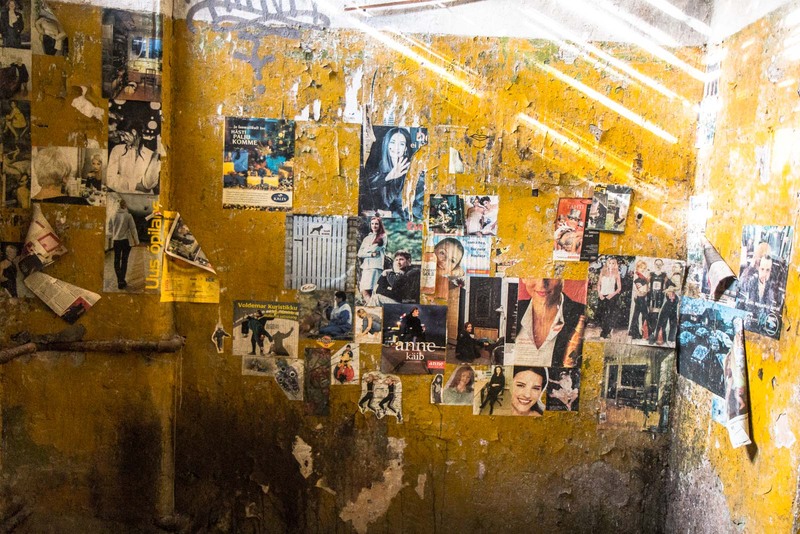 They have used some of the ground floor cells for artworks or small exhibitions – and many of the walls around the outside have been covered with paintings and graffiti. It actually seems quite appropriate somehow. The artists of today may well have been locked up inside as resistance fighters if they had been born a generation or two earlier. There is apparently some debate about what to do with this site. Neglected as it is, it won’t last forever without some kind of attention. For now, though, I love being able to explore it so freely and authentically. Even if it is slightly terrifying to do that. Great Halloween themed post! 🙂 The sight looks terrifying but at the same time refreshingly authentic and untouched. Ha – I didn’t even think about it being Halloween but that works nicely, doesn’t it. The scary thing is, though, that reality can be much more frightening than any of the fictional horror stories! Wow, this authentic tour seems so fascinating and creepy at the same time, as a lot of historic sites can be. Cool photos, it is easy to get a feel of the place from your pictures and descriptions! Creepy and fascinating are perfect ways to describe it! You can actually do guided tours there which give you more information but I enjoyed just wandering around myself and see it without any other people there (even if that was a bit scary!). I’m not sure what it says about me that I am fascinated by places like this and drag Larissa to them often. Thanks for sharing these photos. Ha – well, it says the same thing about me because I always try to find them as well! I find it really interesting and love taking photos in them. I saw the bar you’re talking about but it was closed when I was there. I think it’s only open in the warmer months. Would be a cool place to hang out I reckon! One of the most darkly intriguing places in Tallinn. I have visited many times (https://hiddentallinn.wordpress.com/tag/prison/). Fantastic photos here and a great write-up! 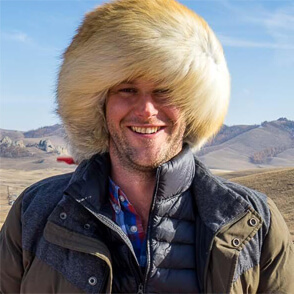 Oh, I love your photos too! Thanks for sharing them. It’s such a cool place… I wonder how long it will stay there before it’s redeveloped? “…the Soviets used it as a high security facility from 1920 onwards.” Iittle side note – The Soviets annexed Republic of Estonia only in 1940 till 1941; and occupied afterwards from 1944-1991. The Central Prison, as it was officially known back in a day, was active during “the First Estonian Republic” time (1918-1940). And just before that, during the War of Independence it was a military hospital, and before that a military barracks. Initially it was a costal fortification. 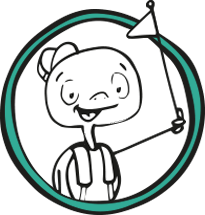 Hi, thanks for the comment and the extra info. It’s a really good point you make. 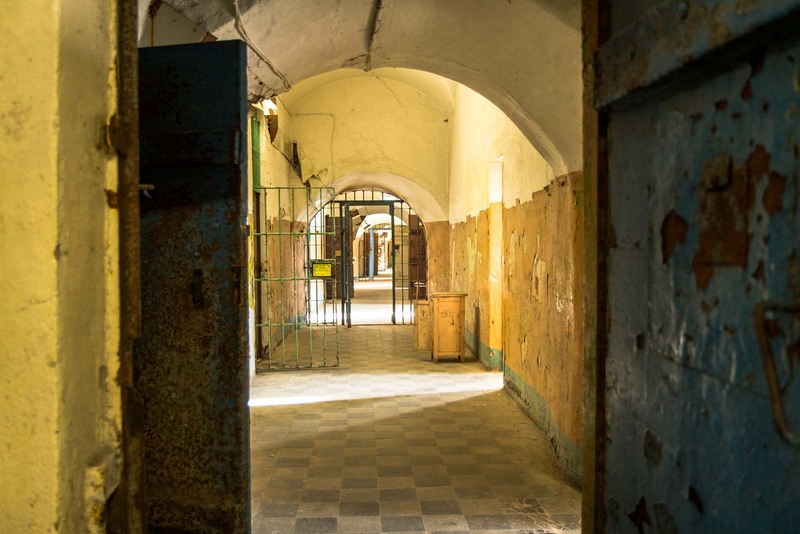 Although I have focused on the conditions during the Soviet era, it was being used as a prison before that under a different regime. I think I have made a mistake in my attempts to simplify the history. I appreciate you picking me up on it! Great write-up, too bad it now seems closed (inside) to visitors.